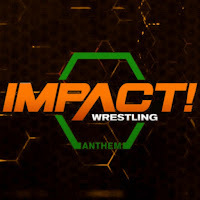 Impact Wrestling announced last week that its flagship weekly two-hour program, IMPACT!, will move to Friday nights on the Pursuit Channel beginning on January 11th. Despite Anthem owning the station, the show will remain at 10 p.m. ET, which is the timeslot it's been airing at since October. Impact has drawn its lowest viewership in their history in the 10 p.m. timeslot. On the latest edition of Wrestling Observer Radio, Dave Meltzer discussed Impact's decision to move to Friday nights, and shed some light on the reasoning behind the move. Meltzer reported that the move to Friday nights was a long-term plan by the organization, and was taking SmackDown Live's move to FOX this October into consideration. Meltzer noted that Impact Wrestling is important to The Fight Network because they recently lost UFC, and decided to move IMPACT! to Friday nights to try and capitalize on the audience that watches SmackDown Live from 8 p.m. to 10 p.m. ET, so that they can then tune into IMPACT! at 10 p.m ET. The idea is that millions of people will be watching SmackDown on Fridays, and will switch over to Impact after the show is over. Impact Executive Vice President Scott D'Amore spoke with Wrestling Inc. last Friday and discussed the move. "The first part of this deal is what we're doing now, the flagship Impact broadcast, airing on Friday nights at 10 pm ET," D'Amore said. "I know people look at that and go, 'Oh my God, it's the death spot.' Well, if you look back, when we debuted on Spike TV, it's a different era and network, but wrestling fans find good wrestling. When we went on Spike TV at 11 o'clock on Saturday, we went out there and did probably about 850k viewers when we debuted. We're excited to work with Pursuit on building it as a platform. We have some ideas and things in the work for other properties on Pursuit. Also, looking to expanding our domestic and international distributions." Pursuit launched in 2008 and just became Nielsen-rated in January of this year. Meltzer noted that 30 million homes get Pursuit, which is a 55% drop from the 67 million homes that have Pop TV. While it is in more homes than beIn Sports (MLW Fusion), it reaches fewer households than El Rey Network (Lucha Underground) and AXS TV (NJPW on AXS).